Smile Train, the world’s leading cleft charity, encourages everyone to be a Smile Maker and change lives. 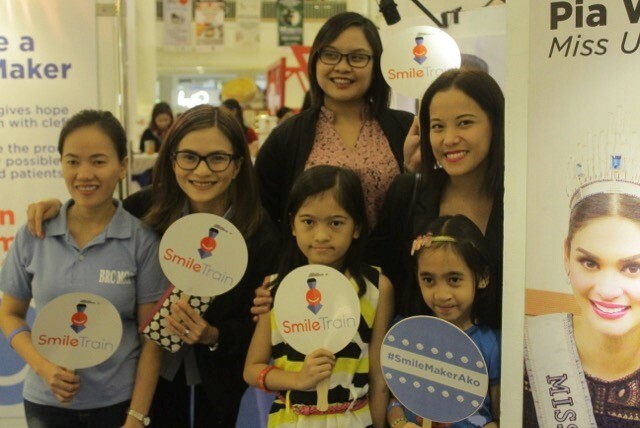 MANILA, Philippines — Smile Train, the world’s leading cleft charity, invites more Filipinos to be Smile Makers as the organization unveiled an all-smiles photo exhibit in Glorietta 3, Makati. 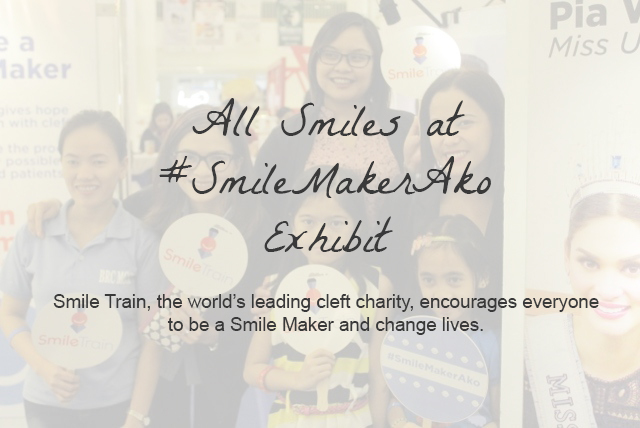 Revealed to the public on February 13, the #SmileMakerAko Exhibit gives Filipinos a peek into how the cleft charity has given more than one million children around the world not only new smiles, but also second chances at life. “Holding this week-long photo exhibit is an effort to showcase to the public what Smile Train has achieved in the Philippines, and at the same time, serves as an invitation among Filipinos to bring more smiles to children with clefts,” said Kimmy Coseteng-Flaviano, Country Director, Smile Train Philippines. 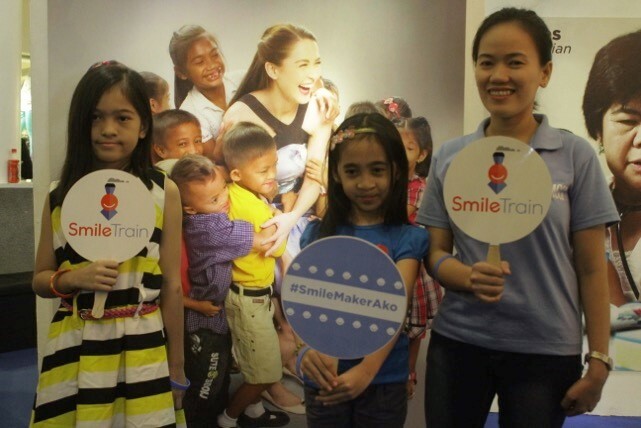 Photographs of local Smile Train celebrity ambassadors Marian Rivera and Pia Alonzo Wurtzbach interacting with children are on display at the exhibit. Pediatricians, patient care staff, among other healthcare professionals, are featured as well. One of the more notable Smile Markers is Angel, a former Smile Train patient who is now a nurse. 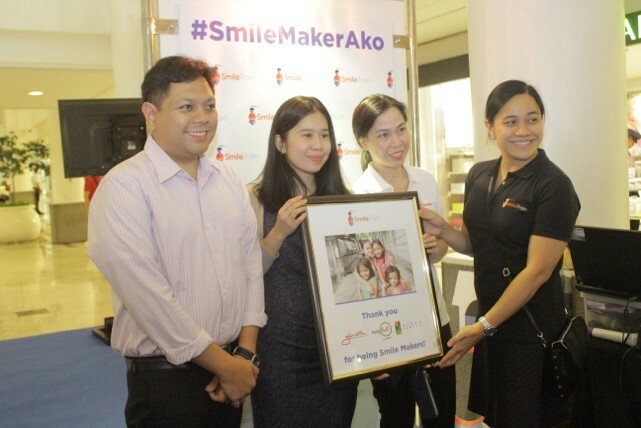 The #SmileMakerAko Exhibit is open for public viewing from February 13 to February 19 at the Ground Floor of Glorietta 3, Makati City, at the pathway near Marks & Spencer and Zara. 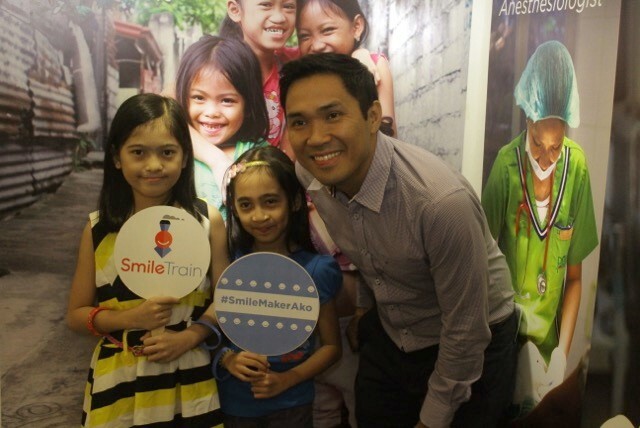 #SmileMaker Paolo Lao, Sales and Marketing Director of The Clorox Company, Makers of Glad products, with some Smile Train Patients. Smile Train is an international children's charity with a sustainable approach to a single, solvable problem: cleft lip and palate. Millions of children in developing countries with untreated clefts live in isolation, but more importantly, have difficulty eating, breathing and speaking. Cleft repair surgery is simple, and the transformation is immediate. Our sustainable model provides training, funding and resources to empower local doctors in 85+ developing countries to provide 100%-free cleft repair surgery and comprehensive cleft care in their own communities. To learn more about how Smile Train's sustainable approach means donations have both an immediate and long-term impact, please visit smiletrain.org.